Like all forms of landscaping, green roofs need attention. Some people don’t know what work has to be done or even how to maintain their green roof. If you don’t know where to start with your green roof or need some advice, check out a few of our tips. Over time, your green roof needs to be monitored to make sure its living healthy and full. For instance, the beds may be full of dead vegetation and compact soil in desperate need of aeration. It may also be time to add new plants and make soil amendments or replace that rain sensor disk.Take note of the challenges of having a green roof. It’s good to notice the issues before they become problems. Many of our in-house experts like to perform a soil test before taking care of those amendments and plantings we mentioned earlier. It helps to ensure that the green roof’s vegetation will have a fighting chance to survive another rough summer or last until fall. A soil test is the best way for you to know the health of your green roof. 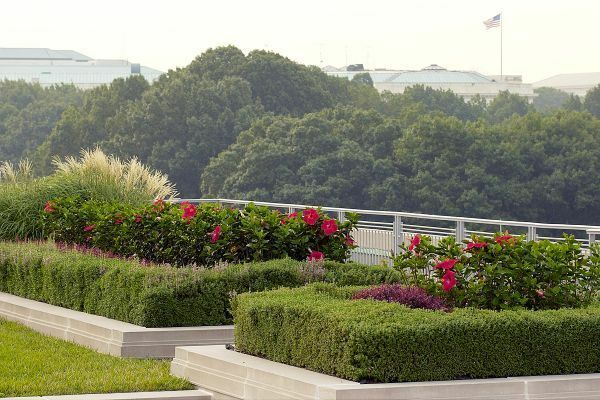 Spring is also the ideal time to head up on to the roof and perform an inspection of the plants that remain. It’s a great way to root out any plants that didn’t make it through seasonal dormancy without sustaining damage. If you’re looking forward to having a green roof that’s bursting with color, spring is an excellent time to add more sedums. They tend to thrive in rooftop environments and produce a variety of colors in time for summer. Some of the sedums, like the blue spruce, Dragon’s blood, kamtschaticum and immergrunchen will stay colorful all year. To have a team of professionals tend to your property’s green roof this spring, please contact us at Chapel Valley Landscaping Company. Our customized maintenance plans cover everything from in-house irrigation, soil conditioning and stabilization to plant selection. Commercial and residential clients are welcome.